Hey friends! I've got some news: I'm moving back to Brooklyn. Yup. In early May. BUT, I have more urgent business: I've locked down a studio space from, like, now, because it was too awesome to pass up. So even though I'm not there, I'm looking for sharers. I'll be in NYC next week to meet prospective studiomates (and also to do other stuff), so please please spread the word to anybody who might be looking. So here it is. I've just taken a 700sq ft studio, and I don't need anything like that much, so I'm looking to find one or two people to share it with. I'm going to be using about third of it, so there's about 460 sq ft left over. I figure the easiest way to divide it is to make two other spaces of about 230sq ft, for $460 each, but that's totally flexible. It's available from March 10th. While I'm not there you can do whatever terrible things you like to my third of the space. 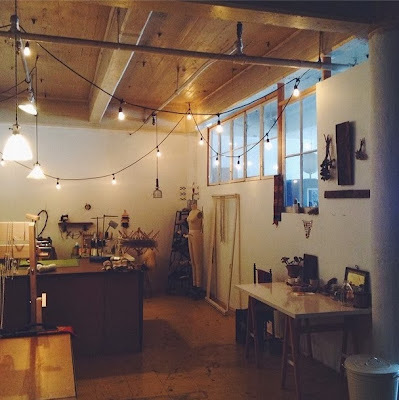 I'll be using the studio to draw, run my jewellery business, draw, make stuff, draw, etc. I have a fantasy about getting a kiln and building a printing press. The space is perfectly suited to small creative businesses, but really anybody who wants somewhere to make work and needs more space than just a desk. Illustrators, ceramicists, textile artists, painters, sculptors, jewellers, designers… All good people need apply. This 700sq ft space is one-third of a way larger studio, shared with Amelie Mancini and Ariele Alasko. They've built walls & windows between the spaces, but it's not totally cut off, so we have the advantage of actually seeing other human beings! A bit of a privilege for the self-employed. The studio will be empty when we move in, a blank slate (the photo is of it with it's current occupant). We can build dividing walls and put shelves up and anything we desire to make it a perfect work space. It's in a big old industrial building filled with artists studios. Has an elevator, daily USPS & FedEx pickups (!!! goodbye post office queues), 24h security, roof access. Wifi, of course. It's on Park Ave at Nostrand in Bed-Stuy. The only caveat is I'd prefer not to have really loud machine work or strong chemicals in the space - although there is roof access which can be used for chemicals / solvent / spray paint / wading pools etc. Other than that, anybody interested, get in touch. 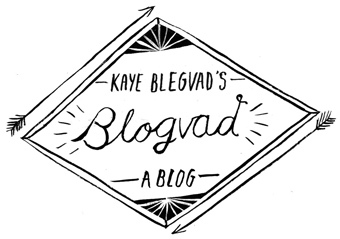 Shoot me an email at kblegvad@gmail.com and let's work this out. Come make stuff with us!